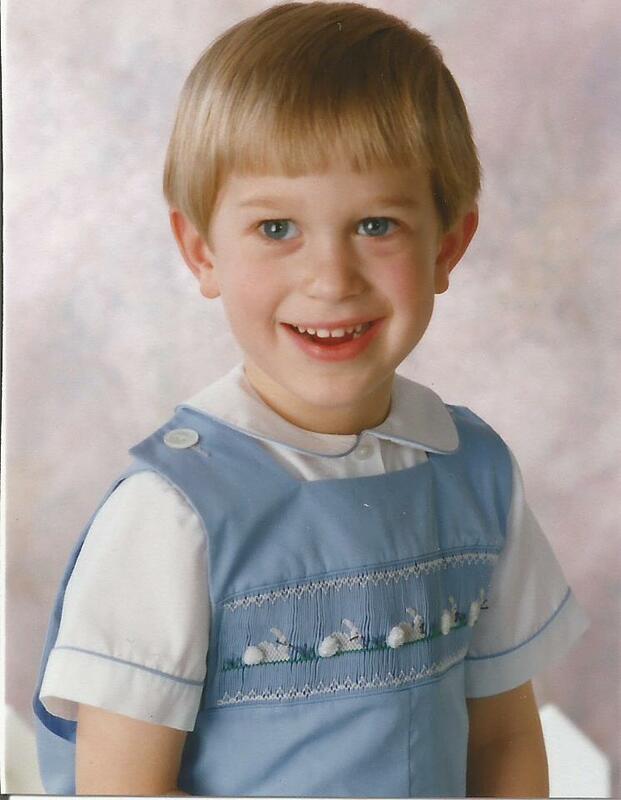 Apparently, I have always loved stitching! My sister was born when I was just a month and a half shy of five years old. 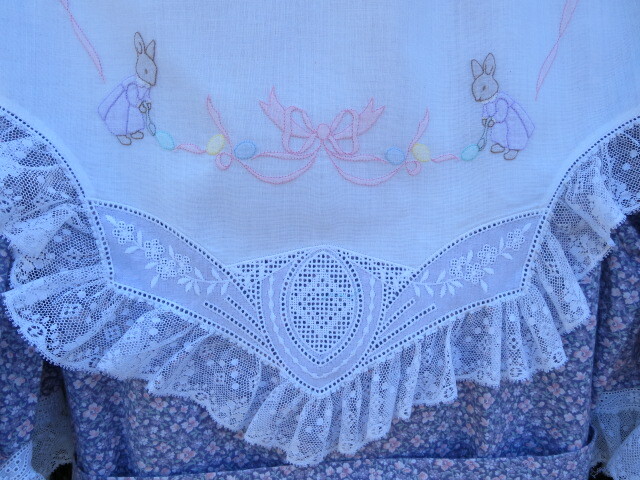 I embroidered this little pre-stamped cotton flannel bib for her before she was born. 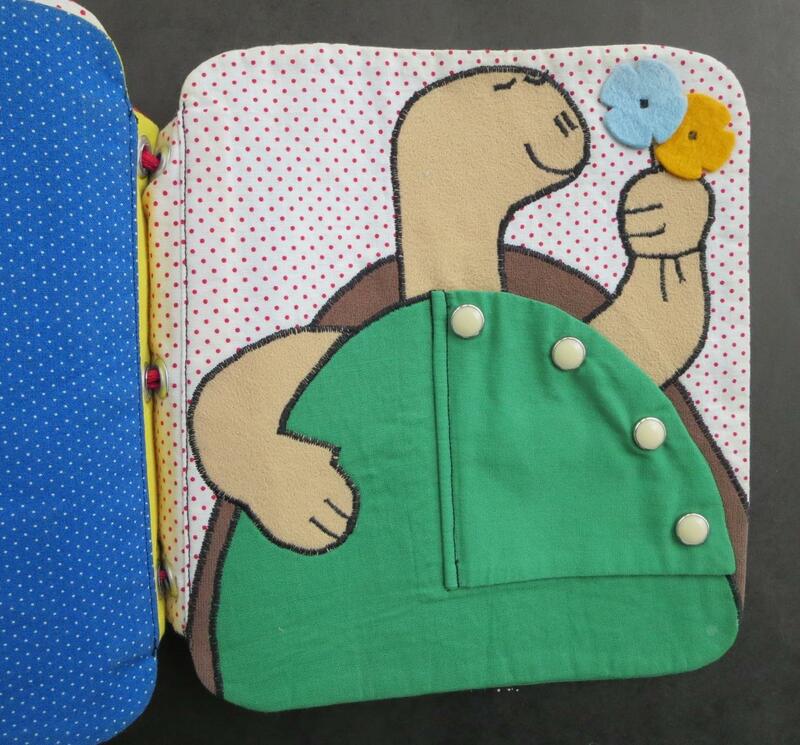 It is probably the first thing I ever stitched. I’m sure Mom helped me (check out the difference between the two flowers on the left made with lazy daisy stitches, and the one on the right, done with uneven straight stitches! 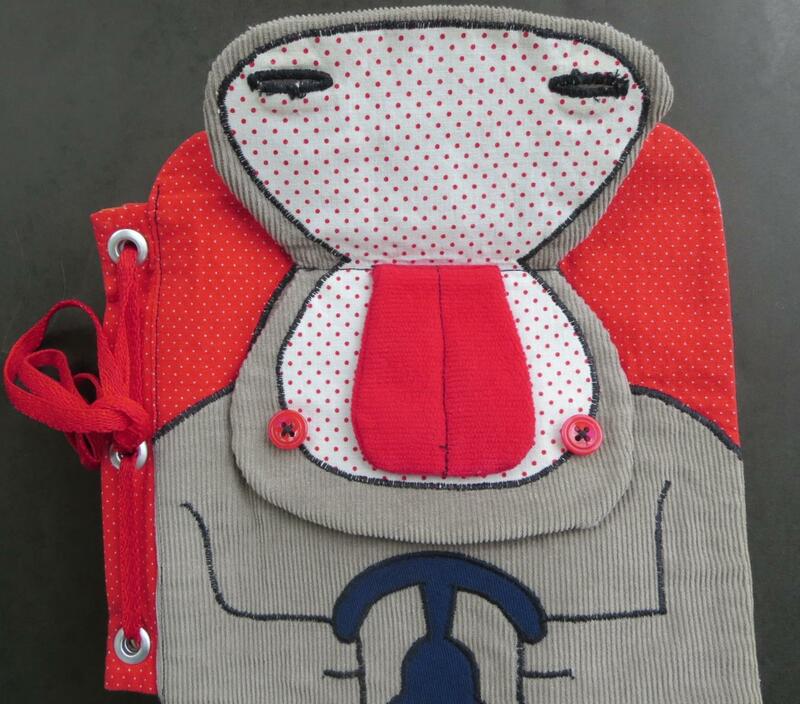 ), but I’m also sure that many of the stitches here are my own! 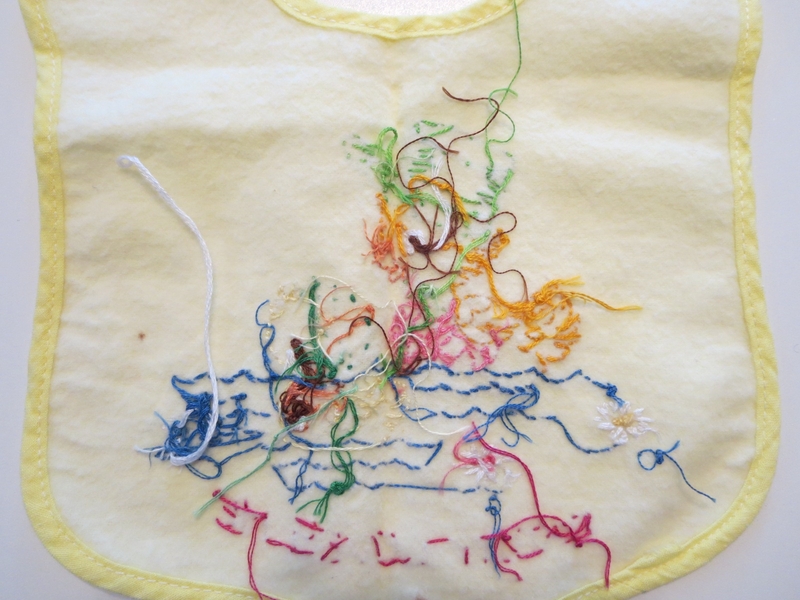 The back is a little messy – it was probably a few more years before I knew how to hide thread tails! But, all in all, not bad at all for a four-year-old! I’m glad I have this. 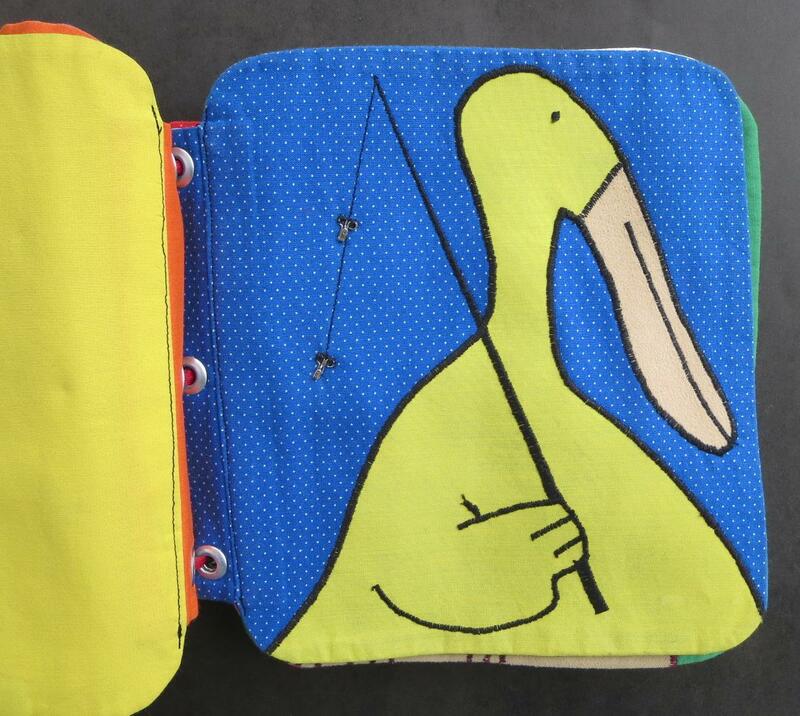 And I want to say that one is never too young (or too old!) 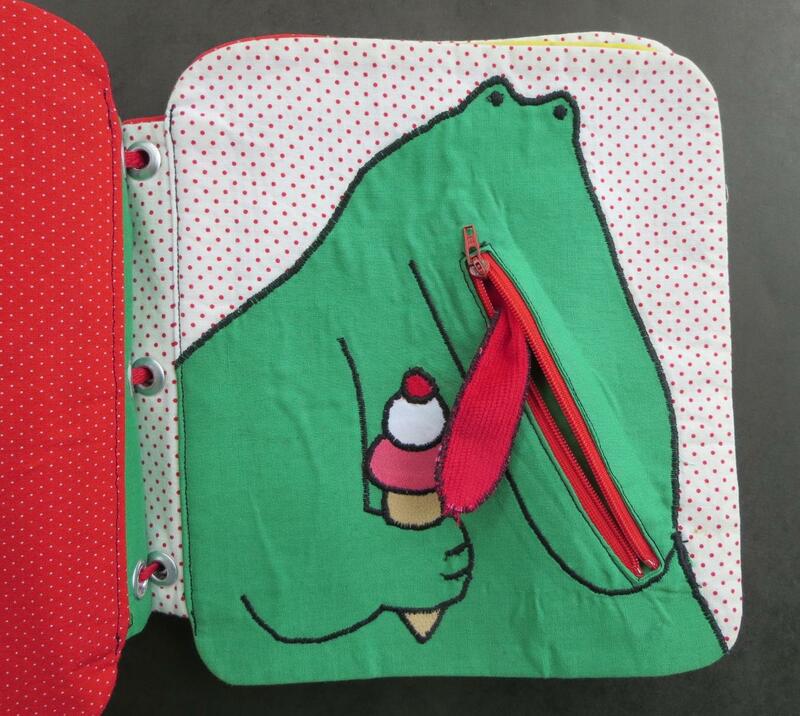 to learn how to sew! 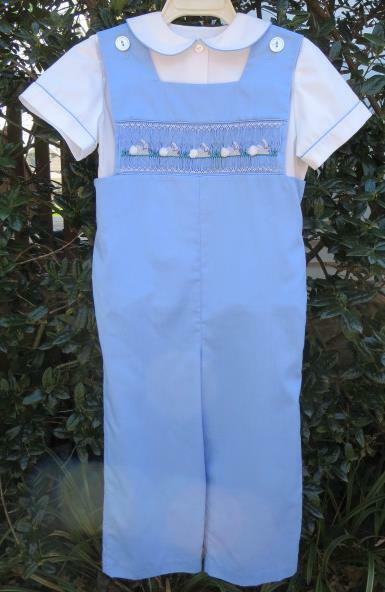 I enjoyed sewing coordinating outfits for my children for as long as they would tolerate it! This has to be one of my all-time favorite photos of them together. It was taken in 1990. 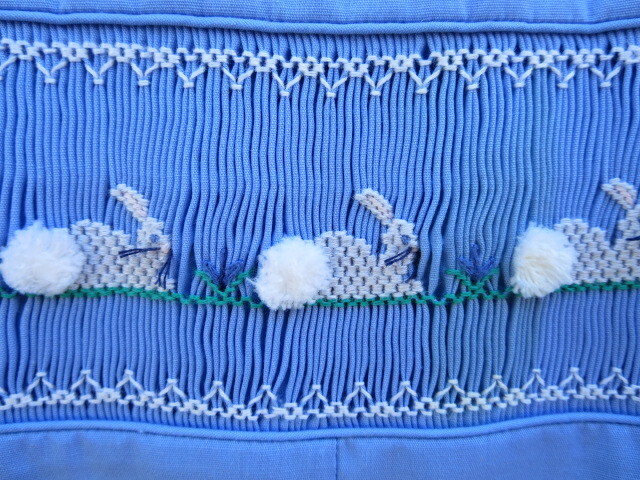 Their outfits were made of Imperial broadcloth, and the smocking plate was “Cottontail Bunnies 3” by Mollie Jane Taylor. 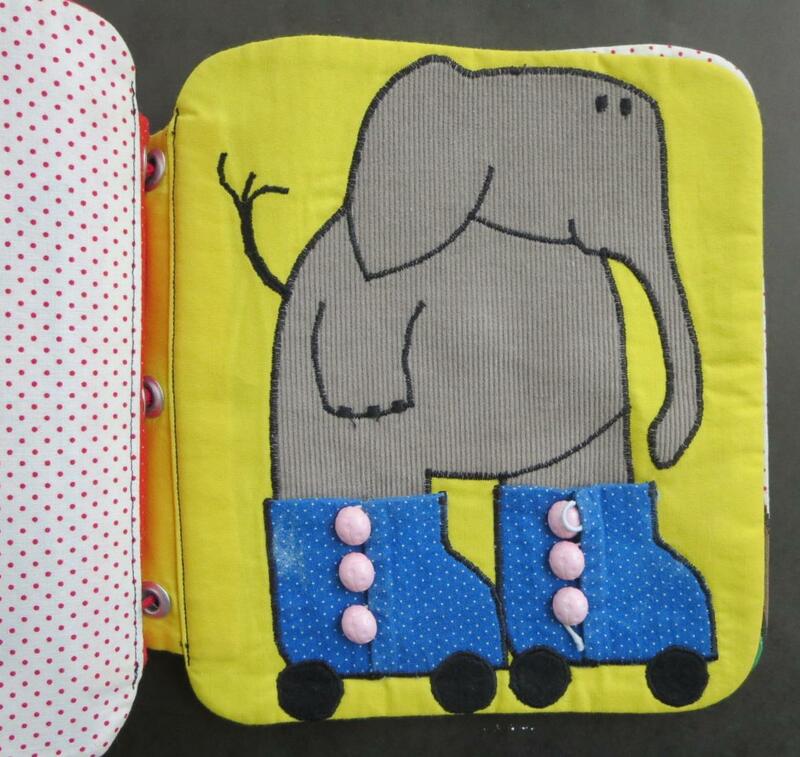 David’s pattern was (maybe?) Children’s Corner Jeffrey, but it is not lined, so I’m not sure if that was the pattern I used. 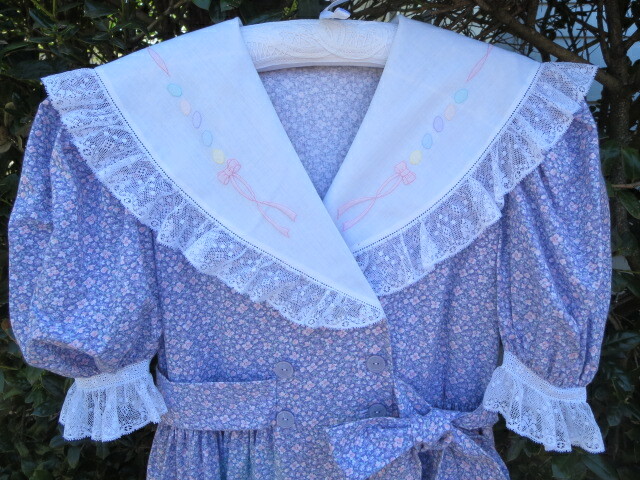 I used tiny piping on the collar and fake cuffs, as well as along the top and bottom of the smocked insert. 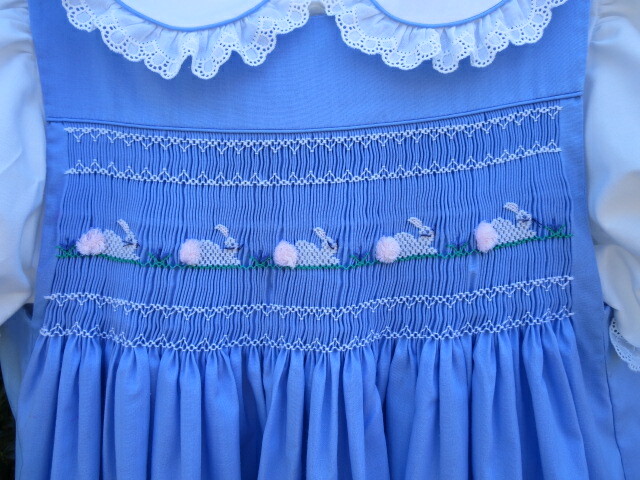 I omitted the top and bottom rows of the smocking plate. Aren’t those fluffy little tails cute?! Here’s a picture from 1997 of my nephew in the outfit. 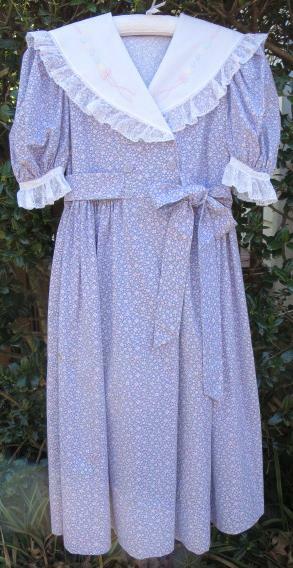 I’m not sure what, if any, pattern I used for Annie’s blouse and dress. 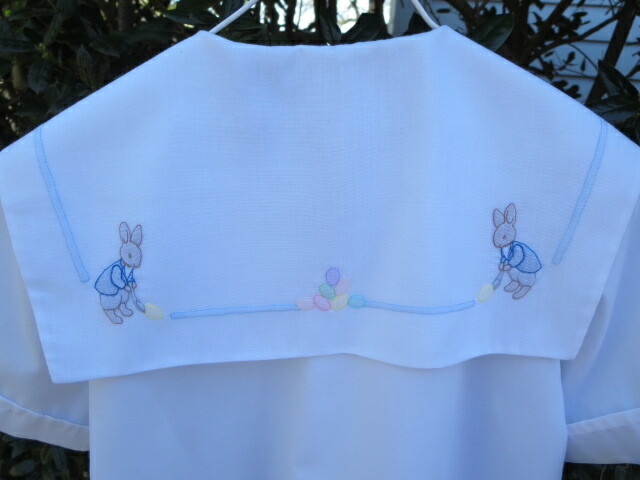 Her bunnies had pink tails, and the collar and cuffs were trimmed with gathered Swiss edging, as well as piping. 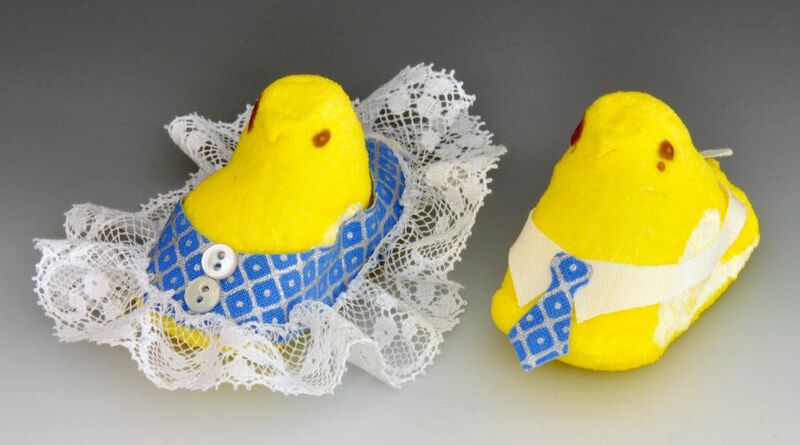 And even though they weren’t visible when worn, her dress had mother-of-pearl flower buttons. 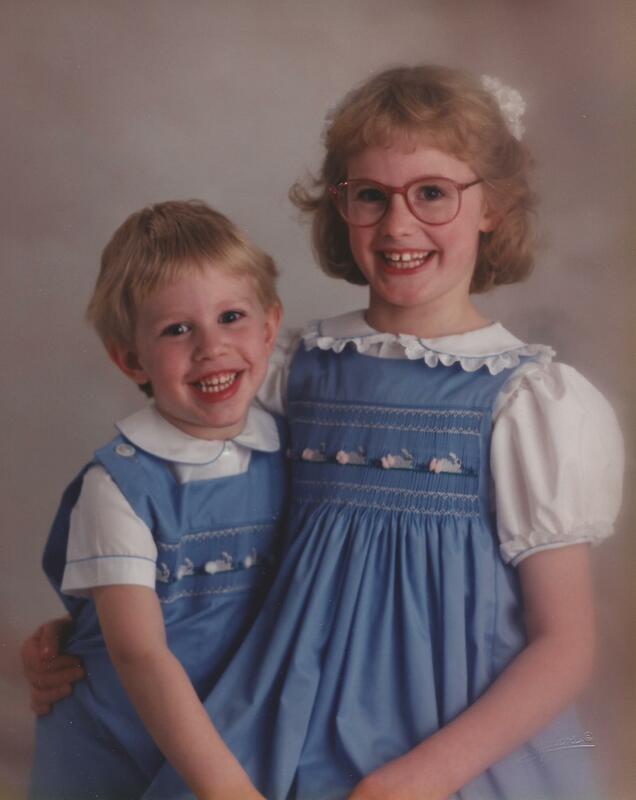 The next two outfits were from the next year, I think, and probably the last time they wore matching duds. 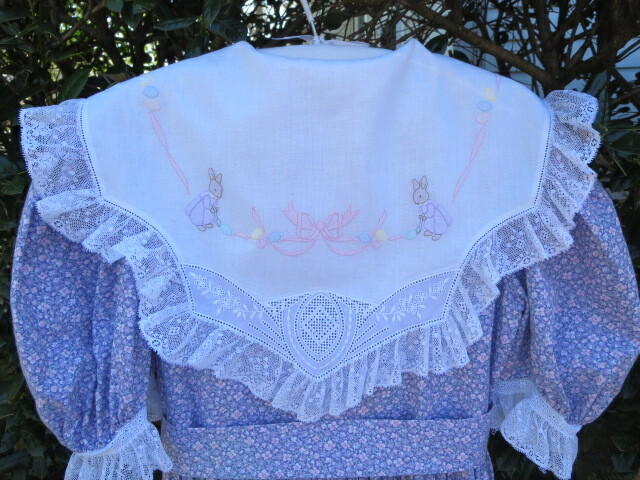 The collar shadow embroidery is from a Wendy Ragan design in an early issue of Sew Beautiful, stitched on, and lined with, Imperial batiste. 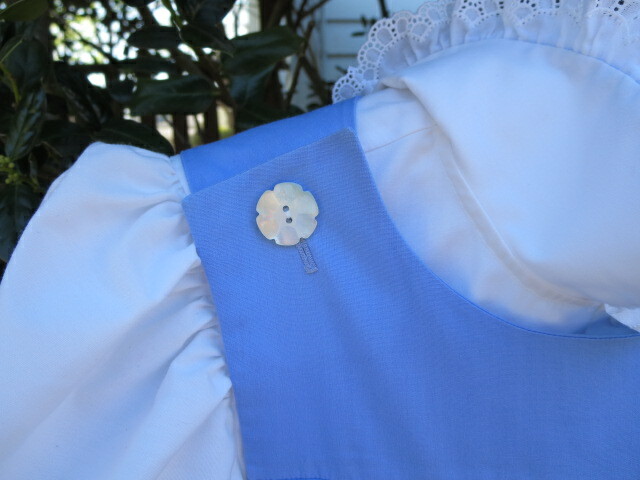 I made the collar to fit the Swiss motif. 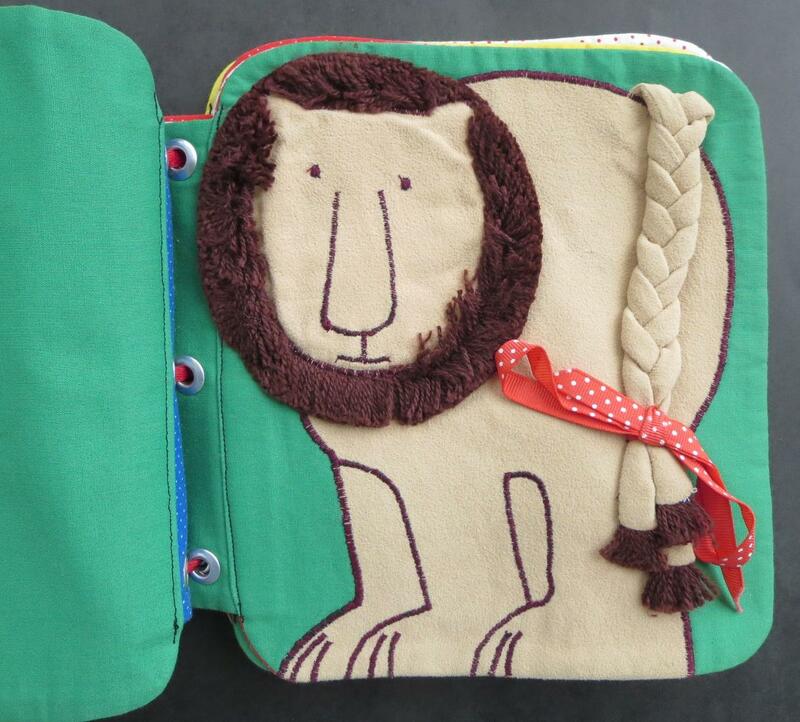 What a sweet embroidery design! David’s shirt is double-breasted to match Annie’s dress. He probably had blue pants or shorts to go with this. 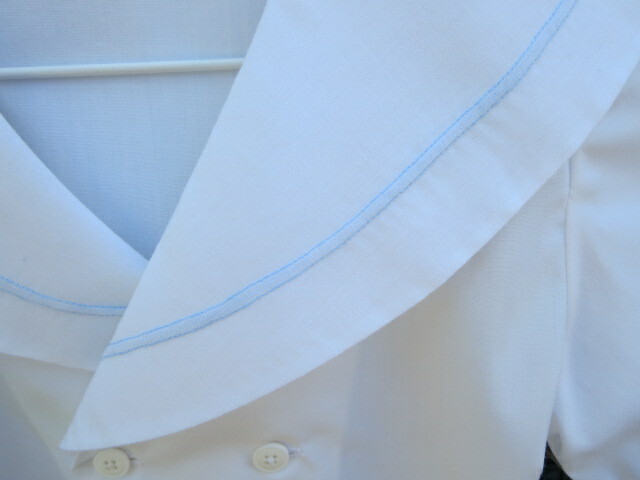 It is Imperial broadcloth, and the collar is Imperial batiste. 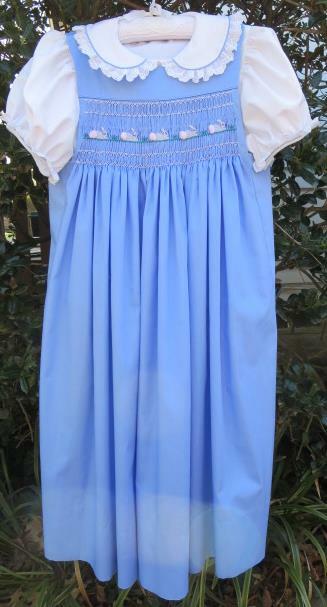 I have no idea of the pattern, if any. 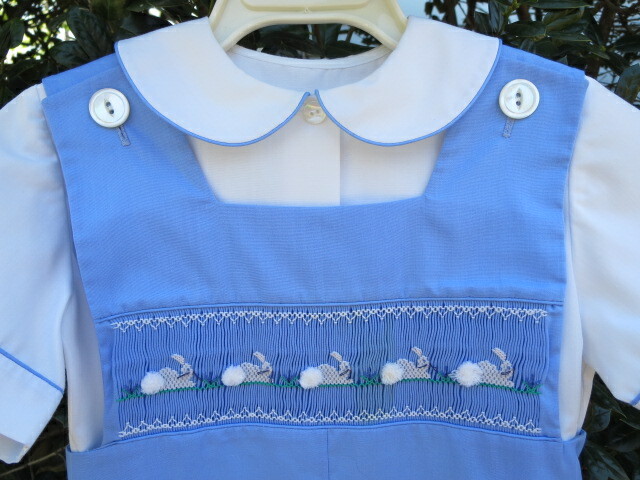 The light blue trim along the collar is not an applied edging, but a narrow shadow embroidered strip. 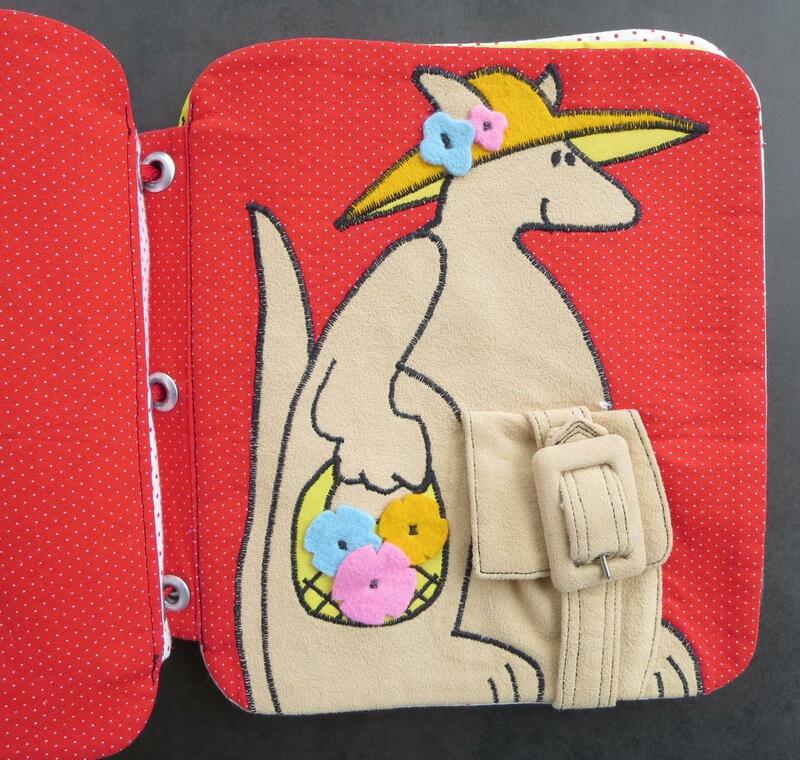 The back has boy bunnies instead of girl bunnies! 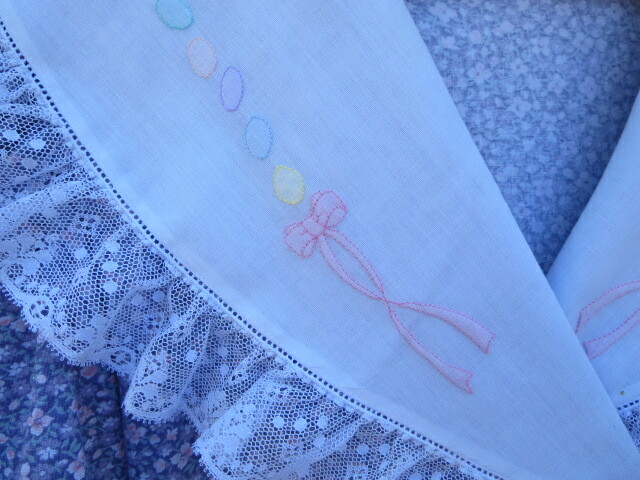 French lace and pearl buttons, of course! All of my previous posts have been about my work from the past. This is a current project. 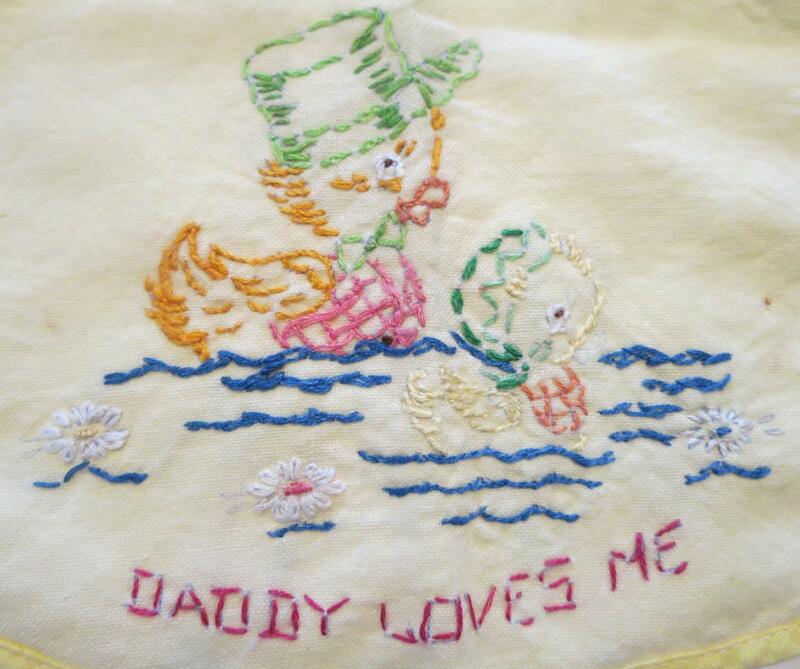 I made this needlepoint for my Dad in 1978. 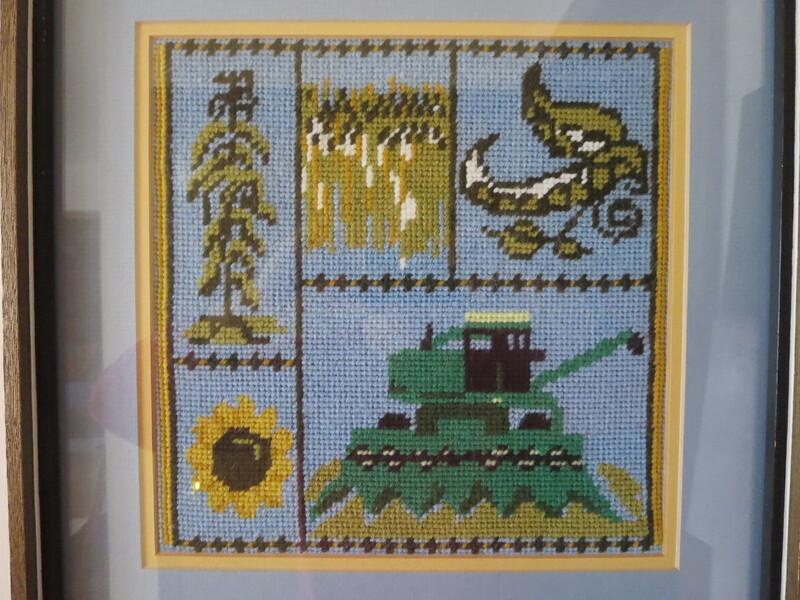 I was finishing up college, and for some reason made needlepoint projects for my family that year. This was from an illustration in a farm magazine! As a tribute to him, I decided to do this in fabric – pieced – about 6 squares per inch – then quilted! I know, crazy! This is hanging on Mom’s wall, so all I have to work from is this photo. Here is the completed sunflower from the lower left. You can see how tiny the squares are! Here, I’ve worked my way up to the cornstalk. 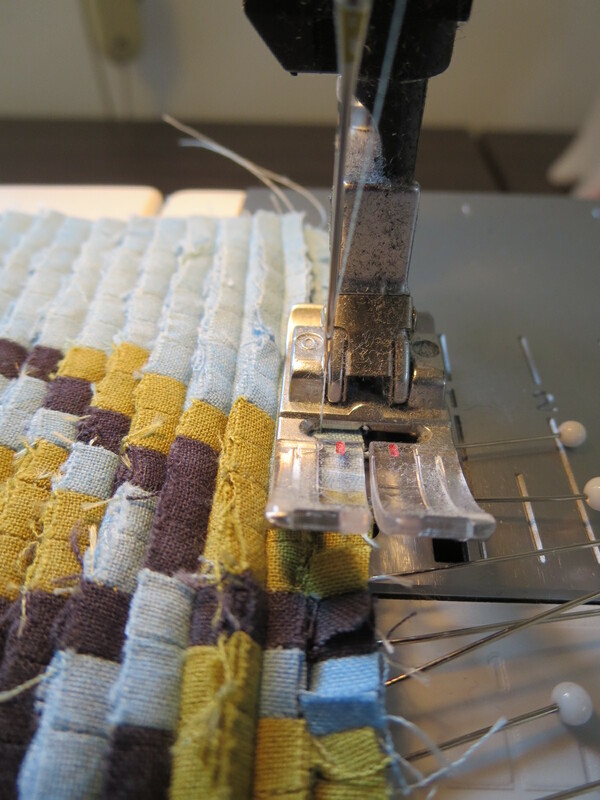 Even doing some strip-piecing, this is tedious, painstaking work! The squares are cut 1/2″, then trimmed slightly after piecing. 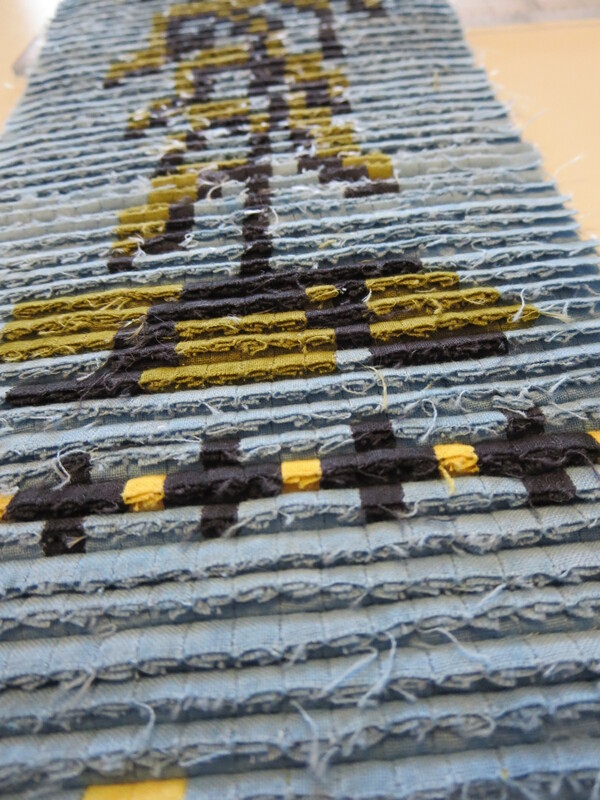 After the squares are sewn into strips, the strips are added to the slooooowly growing piece. 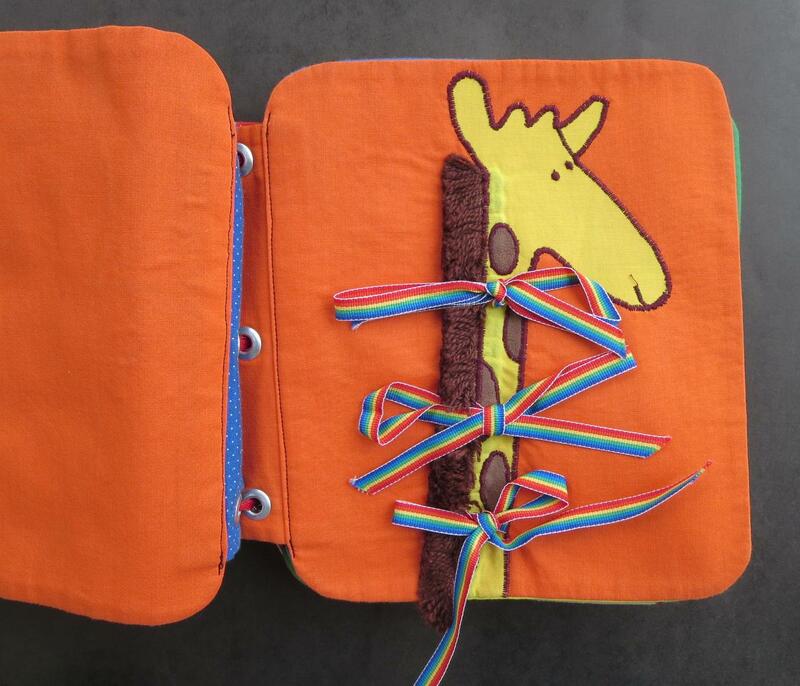 I try to match every single seam – 22 seams per strip in this section. 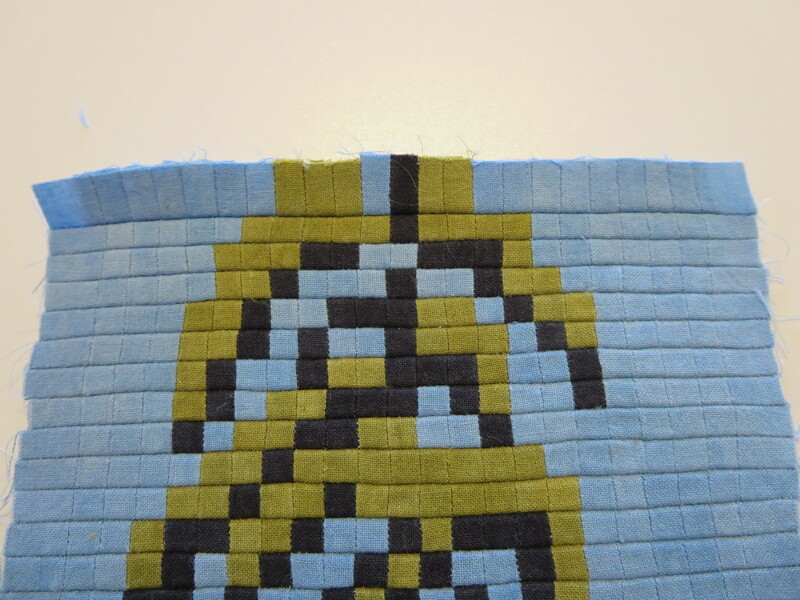 Here is a strip pinned to the right side of the piece. 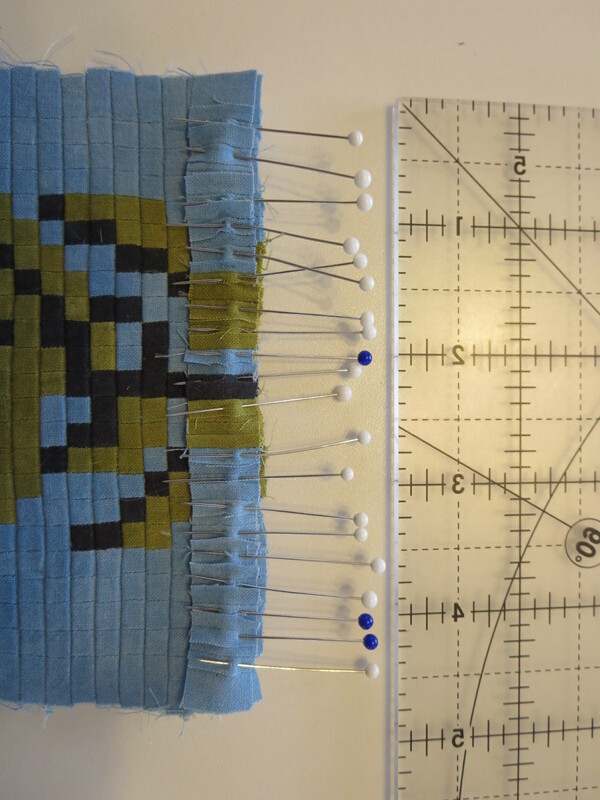 and stitch, using the previous seam (not the raw fabric edges) as a guide, with my needle in the far left position. 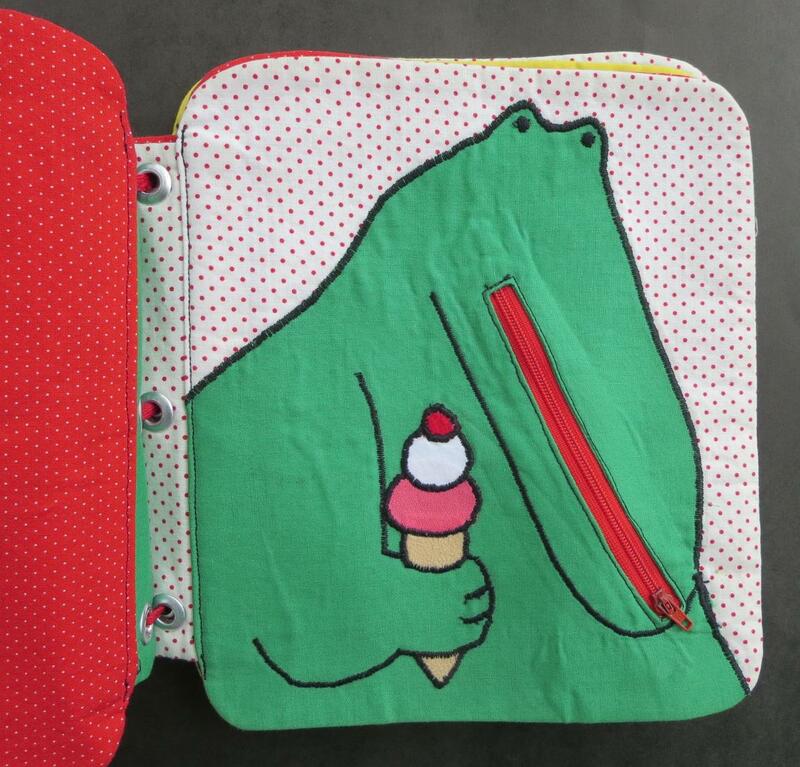 Then I check the right side to see if the seams line up. 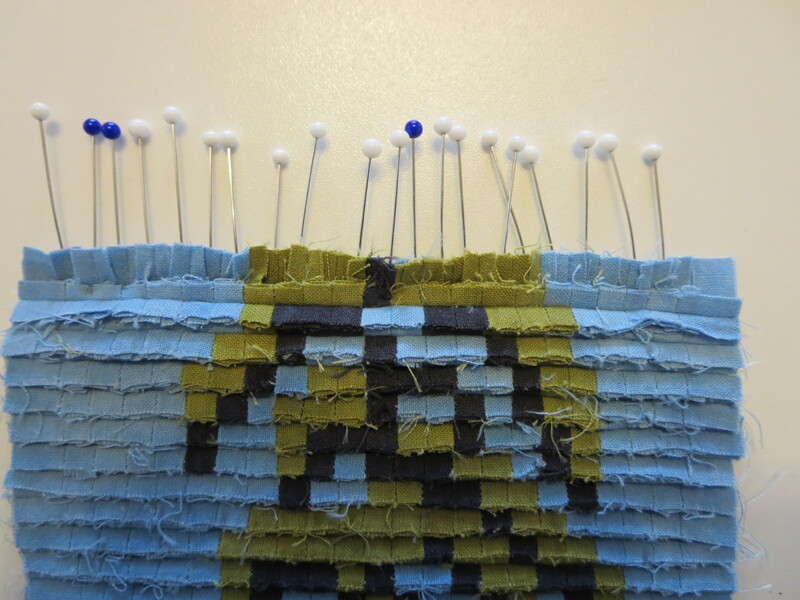 At least half the time, there are sections of the seam that don’t, so I have to take out some stitches and re-stitch. 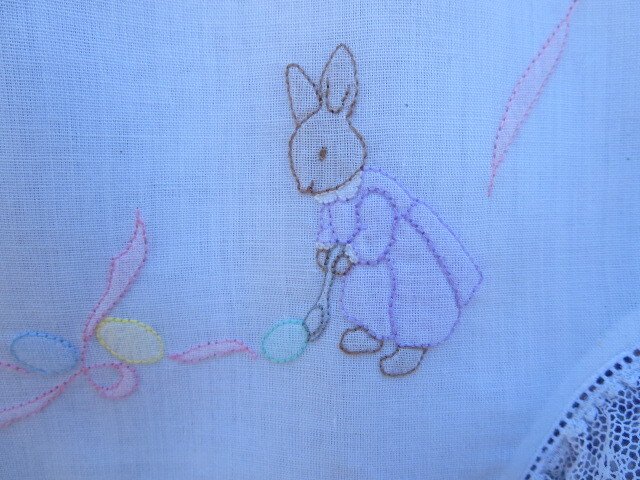 Now mind, these stitches are only 1mm long – they have to be that tiny to keep the eensy weensy seam allowances from fraying. 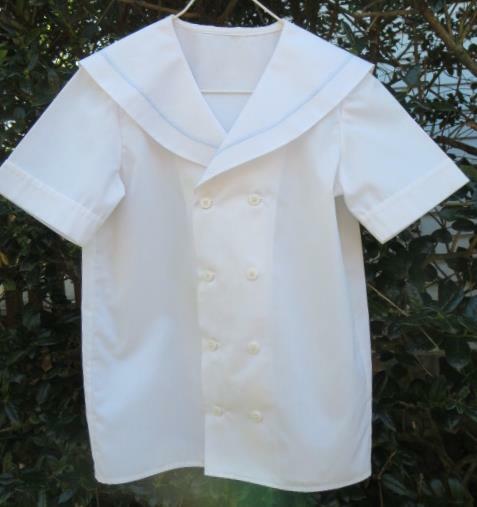 And they are stitched with Superior Threads Bottom Line thread, which is a very fine 60wt. poly thread. I use this fine thread because I wanted a thread that took up less space in the seam than regular 50wt. piecing thread. I did what I could to reduce the bulk, and the Bottom Line is strong enough for this particular piecing. 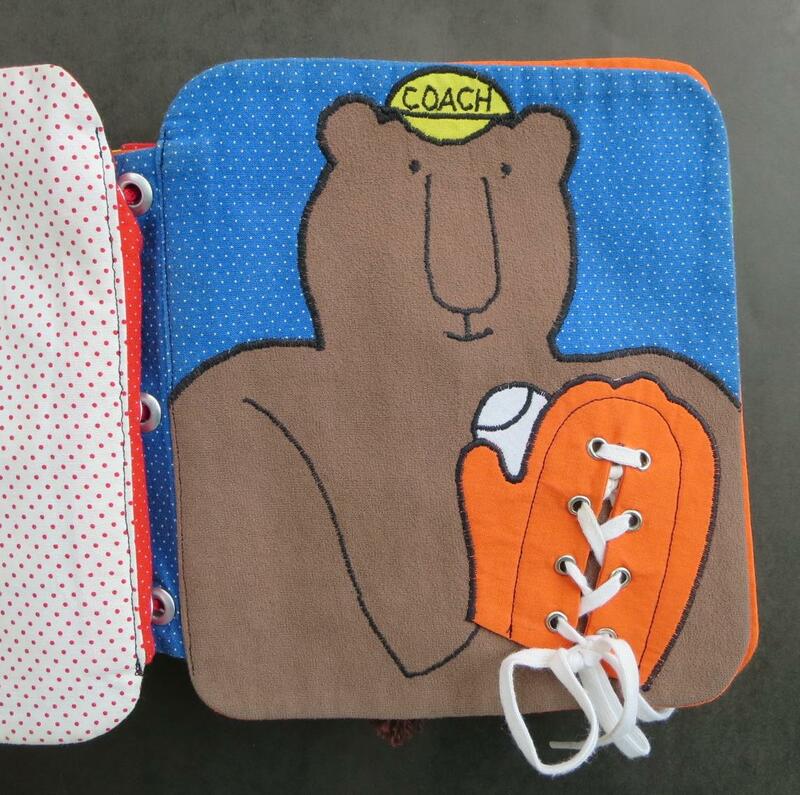 Those stitches are hard to un-stitch! Once everything is lined up as well as I can get it, I trim the seam allowances a bit, then press those seam allowances open on the wrong side. Oh, by the way, the seam allowances on the squares were pressed open, too. I thought the ridges created from pressing to the side would be too noticeable on these tiny squares. Again, not an easy task! Each seam allowance is 3 layers of fabric, and I’m pressing them open over the previous seam allowance. 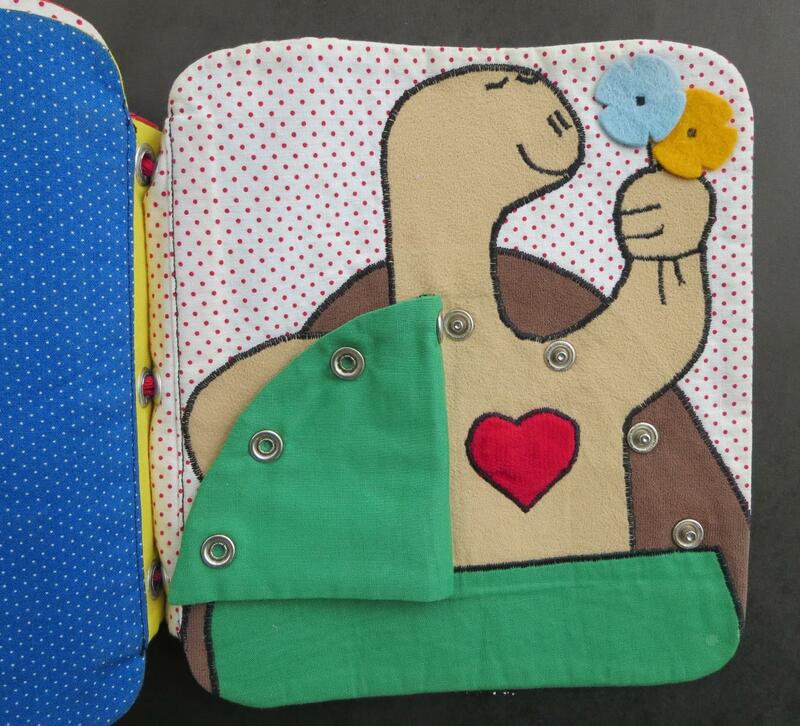 Altogether, each square is 9, yes 9, layers of fabric thick. I found that running my thumbnail down the seam, separating the seam allowances, then pressing with lots of steam worked best. Here’s the right side of that strip. 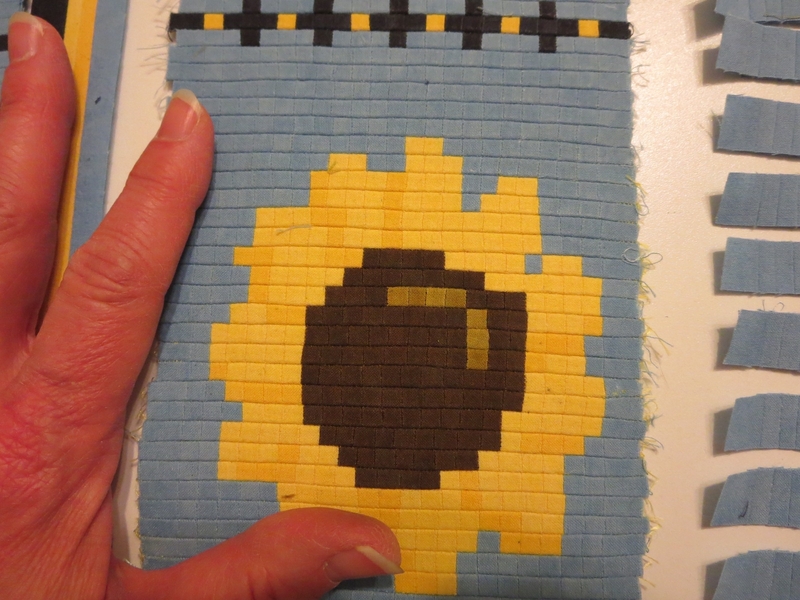 I have finally finished the sunflower/cornstalk panel. 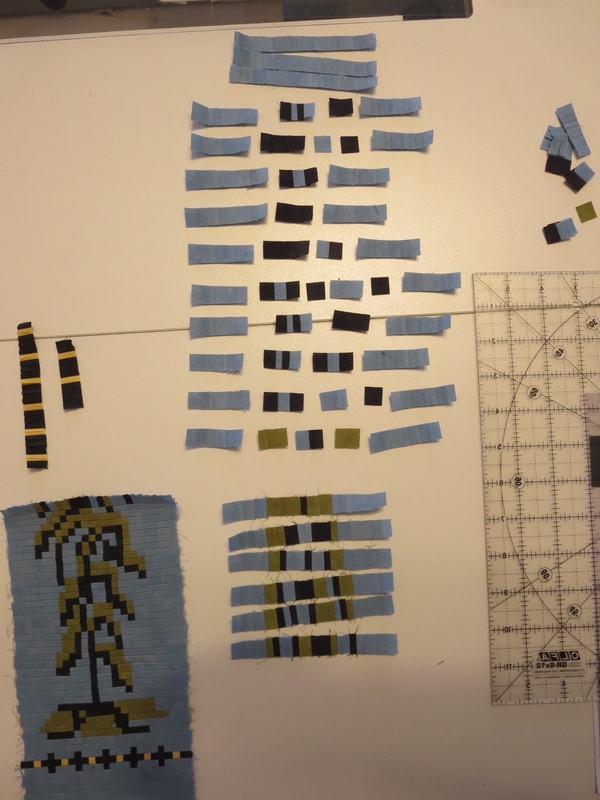 Twenty-three squares by ninety squares – 2070 squares, and this is only about one-fourth of the project! Whew! I have a great ability to tolerate tedium, and I usually work on only one project at a time, but this calls for a break! 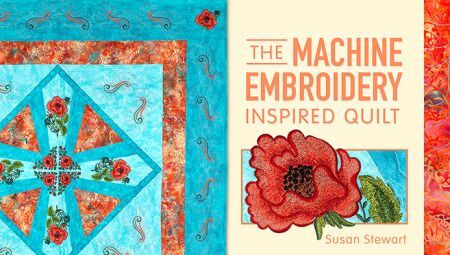 I embroidered, pieced, and quilted my Craftsy quilt in less time than this 4″ x 16-3/4″ panel took! 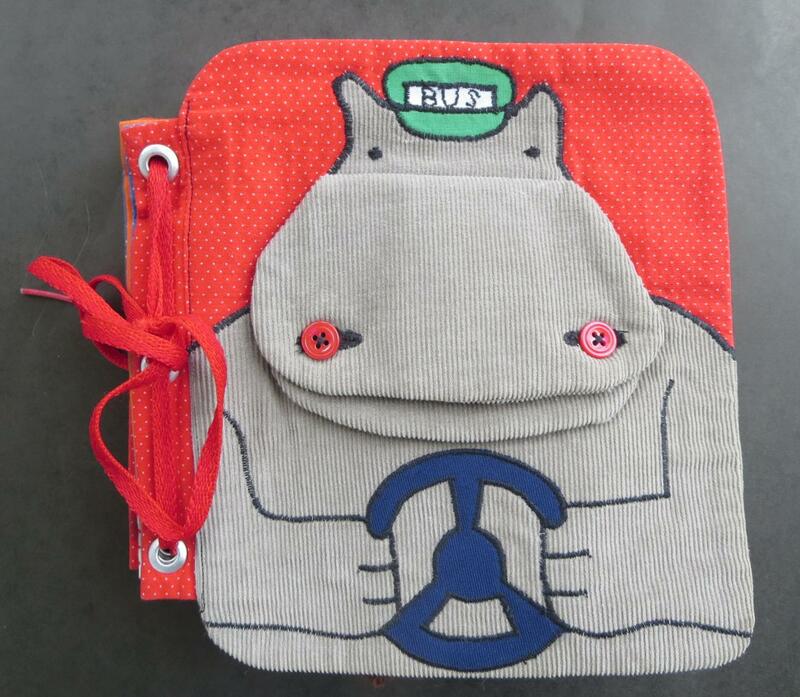 So for now, I’m putting these teeny, tiny square away and working on something bigger! Today marks the one-year anniversary of my father’s death. He was a good man, the kind of man every child should have for a father. He was as intelligent, hard-working, sensible, gentle, and honest as any person I’ve ever known. 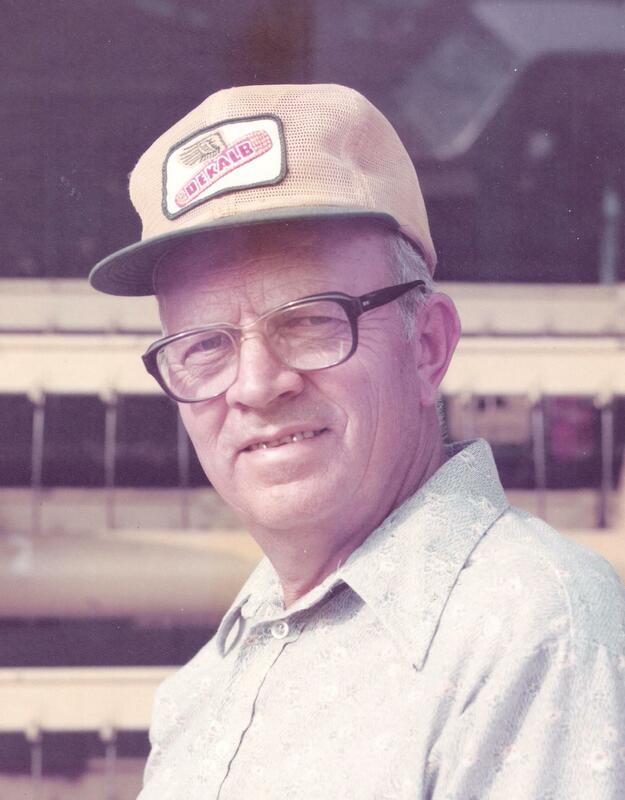 He was born in 1925, the son of farmers. And a farmer he was, til his last day, even though he could no longer drive a tractor or combine. A man of the land. I was always proud of him! 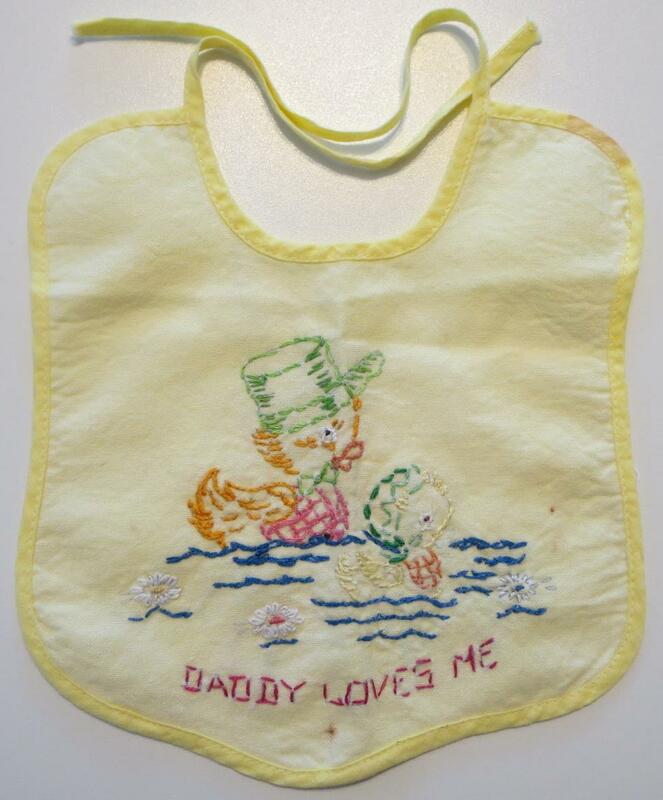 I went through a short time when I was in my early 20s during which I made needlepoint projects for my parents and my sister. This was what I made Dad. 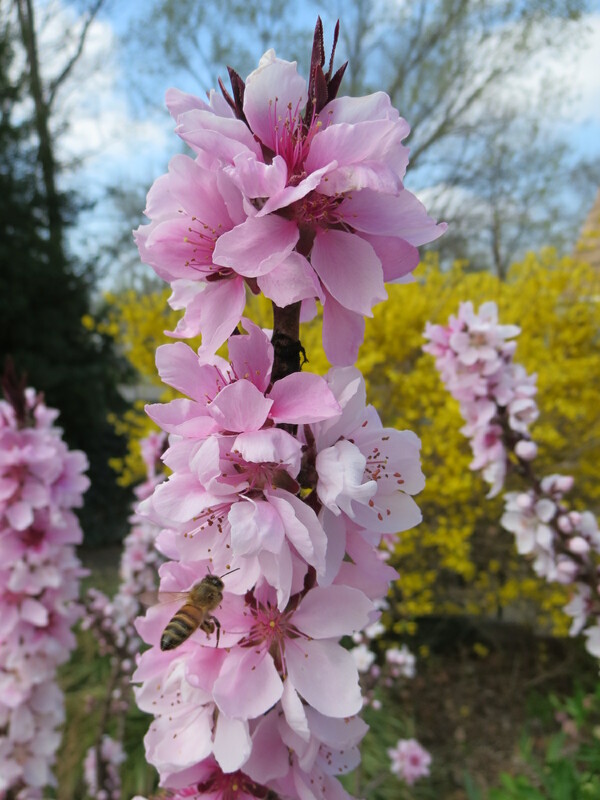 It wasn’t a kit – it was from an advertisement in a farm magazine! I made it from the photo in the magazine. It seemed so perfect for him – corn, wheat, soybeans, and a combine! It’s still hanging in Mom’s kitchen. This is a picture of Dad from 1938, when he was thirteen. 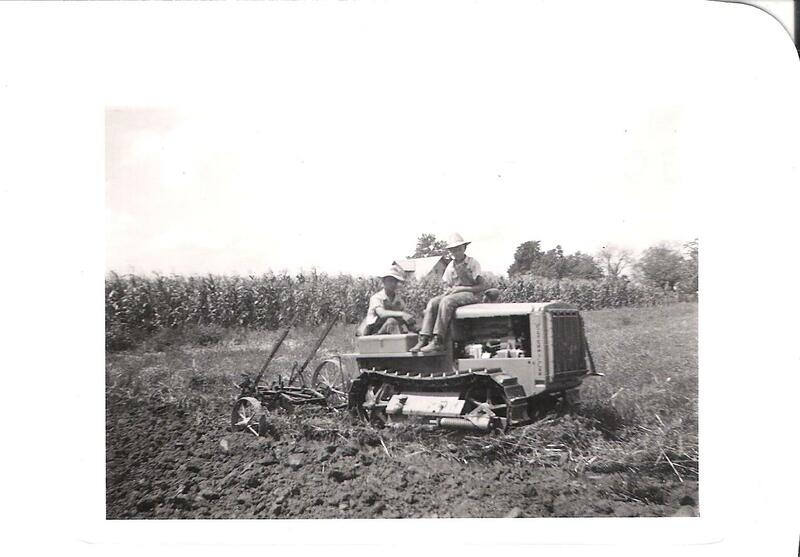 He is sitting on the fender of the tractor, and his older brother is driving. Finally, when I started quilting and was notified that my quilt (the first quilt I ever entered!) had won a prize at Houston, I asked if he and Mom wanted to go with me, in their motor home, to the show. One of the first things he said at that first show was, “My mother would have loved this!” He didn’t spend much time on the show floor – the long hours of standing were hard on his ever-painful back, and the noise of the crowds was difficult for him to handle with his hearing aids. We went every year to Houston and Paducah, eighteen quilt shows in all. 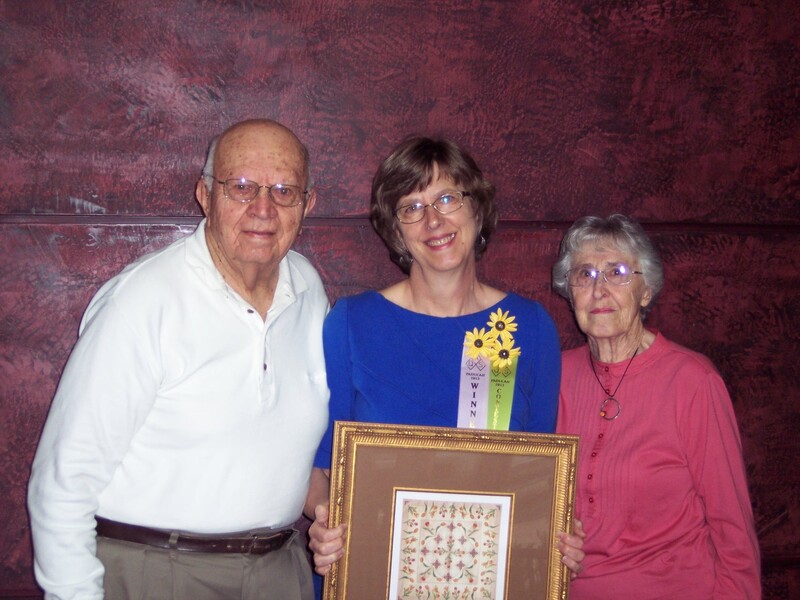 This picture is the last quilt show we attended, Paducah in April 2013, where he saw me win Best Machine Workmanship. I had always hoped that he would be able to see me win Best of Show someday, but that didn’t happen. It doesn’t matter. He was proud of me whether I won anything or not. A lot of me comes from him, including the attitude of striving for excellence. I love you, Dad!